We catalog art that can be viewed from public streets and sidewalks throughout the City. 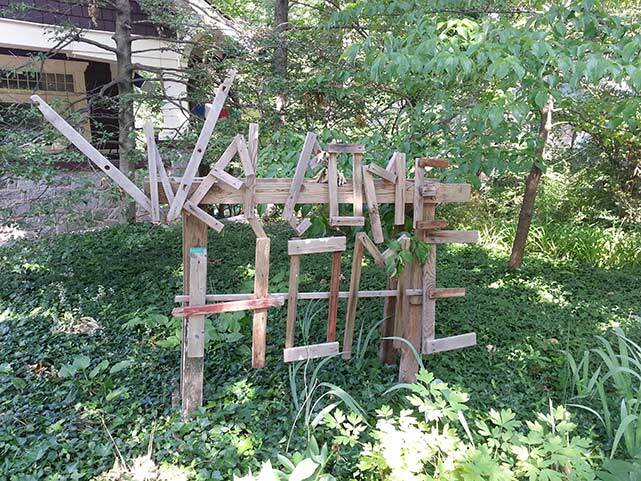 We have inventoried over 80 pieces of art in various front yards, and on commercial buildings, sidewalks, and retaining walls. Click on the map to see the public art in Takoma Park, and visit the tkpkartabout Tumblr for photos of public art and interviews with the residents who proudly display them! A "Welcome Home" sign greets visitors and passers by at 519 New York Avenue. Have public art that you want included? Complete the questionnaire below. How and when did you acquire the artwork? What does the artwork mean to you? Can we take a close-up photograph of your artwork?